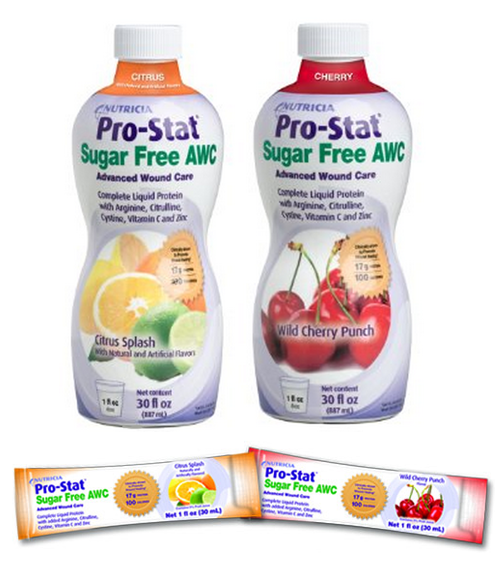 Pro-Stat Sugar Free AWC Advanced Wound Care is a sugar-free, ready-to-drink medical food. 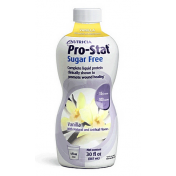 Pro-Stat AWC provides 17 g of enzyme-hydrolyzed complete protein and 100 calories per 1 fl oz. 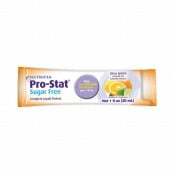 Arginine, citrulline, cystine, vitamin C and zinc have been added to fortify Pro-Stat Sugar Free AWC. 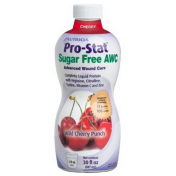 Pro-Stat AWC is rich in amino acids that are critical for replenishing depleted protein and accelerating tissue healing in patients with pressure ulcers. 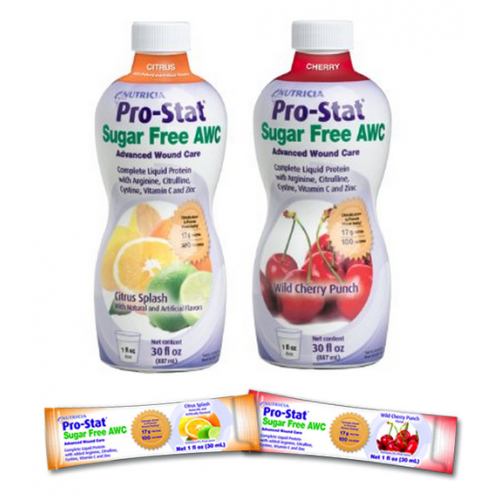 Pro-Stat AWC has no fat or cholesterol. 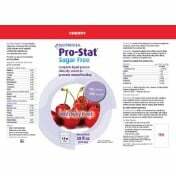 Low in sodium, phosphorus and potassium, Pro-Stat AWC can be used for pre-surgery to protect lean body mass and provide strength and energy. 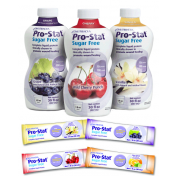 For post-surgery, ProStat AWC supports advanced wound healing, recovery, energy and metabolism. 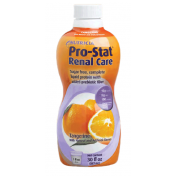 Pro-Stat Advanced Wound Care can be taken straight or mixed with liquids or soft foods. 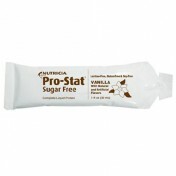 Pro-Stat Sugar Free AWC Advanced Wound Care is certified kosher. Nitric oxide is essential for wound healing. It increases blood and oxygen flow to the wound, increases collagen formation, reduces inflammation and kills bacteria all helping to close wounds. 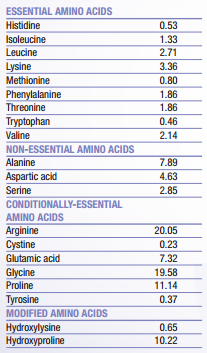 Arginine is the only producer of nitric oxide, however, 40% of ingested arginine is broken down by the intestine and liver making less available for nitric oxide production. 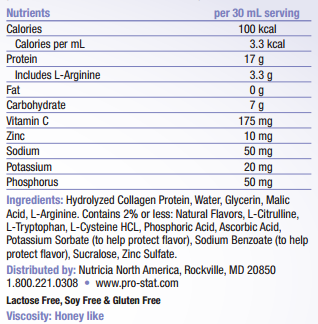 Citrulline converts to arginine but is not broken down like arginine. This conversion allows for more nitric oxide production thus facilitating healing. Citrulline has been shown to be more effective than arginine in raising plasma arginine. 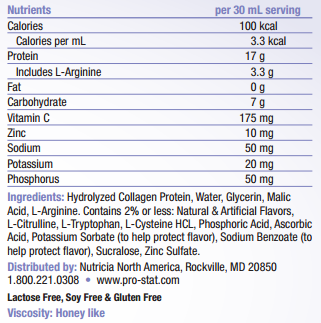 Nutrient dense, providing 17 g of protein and 100 calories per 1 fluid ounce. 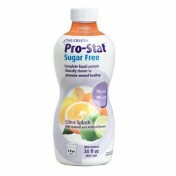 Contains arginine, citrulline, cystine, vitamin C and zinc. Available in 2 great tasting flavors: Wild Cherry Punch & Citrus Splash. Hydrolyzed for rapid absorption & efficient utilization. 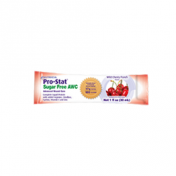 Pro-Stat Sugar Free AWC Product Numbers: 40130, 40230. Size Options: 1 Ounce or 30 Ounce. Flavors: Wild Cherry Punch or Citrus Splash. Container Types: Packet or Bottle. 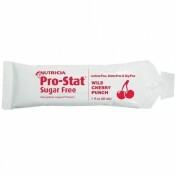 Pro-Stat Sugar Free AWC Wild Cherry Punch Nutrition offers detailed nutritional data. 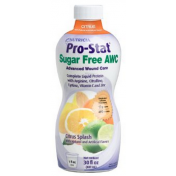 Pro-Stat Sugar Free AWC Citrus Splash Nutrition Data provides detailed nutritional information.